Mary treasured God's word in her heart. The shepherds responded in faith. How will you respond? Will you rejoice in God your saviour? The Holy Spirit: Who is He, what does He do and why is He important. Trying to live a christian life without the holy spirit is like trying to drive a car without petrol. Invite Him into your life! Luke - Who, why and when! A brief overview of the Gospel of Luke. Are you prepared to pay the price to receive God's kingdom? The kingdom of God is growing at an unstoppable rate. An ever expanding kingdom that Hope Church is part of. Doing church bigger - Believing and preparing for more. Can you take ownership of this vision so as to make it your own? Have you ever wondered what God's purpose for your life is? The answer is to seek Him! Have you understood what Christmas is really about? Are you prepared to be surprised by God this Christmas? Isaiah points to a promise that doesn't disappoint. Jesus is the fulfillment of that promise. Are you looking to receive the right gift this Christmas? Disciples need to overcome everything that keeps us from our calling in Christ. Jesus came to give life in all its fullness. Will you let him? Disciples need to be baptised in water and by the Holy Spirit. This talk follows 6 baptisms. Disciples are called to love the Lord with all their heart. Do you love him? Only through Jesus can you know forgiveness and peace. Will you listen to Him? God intervenes in both the big and the small things. Jesus loves the church. Therefore we are also called to love it too. Do you love your church? Disciples know that Jesus will return. Do you know that you are going to heaven? As a christian, you need not fear the return of Jesus. Please see attached notes for all the bible readings. Do you worry about what will happen when you die? As a follower of Jesus, your destiny is in heaven. When the poor, lost, sick or lonely come to come to our door, who will they meet? Will you show them the Father's love? Are you feeling safe and secure, or are you prepared to risk your faith and trust God? Yake a risk and find the destiny that God has for you. If you know Jesus and have received the Holy Spirit, then you will want to share your faith with others. Be committed to sharing your faith. Join the mission! How do you hear from God? Ask the Holy Spirit for words of knowledge, dreams/pictures or sensations. You have not been created to be a bit part player in God's story. Will you respond to his call? Christians should be naturally supernatural (John Wimber). We are called to heal. Will you obey that call? Last week, we looked at how the disciples devoted themselves to the teaching of Jesus. This week we look at how they also devoted themselves to each other. Will you devote yourself too? "They devoted themselves to the apostles teaching and the fellowship, to the breaking of bread and prayer". To follow Jesus, will you devote yourself? We are to believe what Jesus tells us. When Jesus speaks, all we need to do is act in obedience. He knows best! If you are faithful to God, he will be faithful to you. It maybe the dreams that you have are not big enough for the plans he has for you. The meal Jesus gave us is so simple, but never has a meal been bought at such a cost. Even the Disciples had doubts. Jesus understands your doubts and struggles. Keep your eyes fixed on him. Disciples are called to worship. Worship builds up the church and encourages the saints. This is a practical guide to worshp at our church. (Part 1 of this mini-series was not recorded). Let us be excited abour our worship. Revelation comes when you worship God. Revelation leads to adoration. we were created to Worship. (Part 1 was not recorded). God created you for good works. How can you serve your local church? 'For we are workmanship created in Christ, to do good works, which God prepared beforehand, that we should work in them' (Eph 2:10). The heart of God is to serve. Jesus calls us to be servers. Will you obey? Don't let sin get in the way of God's extravagant love. God is accessible by all his sons & daughters at any time! Jesus came to remove the old testament restrictions where He was only accessible by the chief priest once a year. Fame, fortune, or a relationship with the living god? The basic human need is to be accepted. What does it mean to be accepted by Christ? Click 'notes' to downlaod Adam's speaker notes. Millie's dedication plus testimonies from various church members on how God has worked in their lives to provide freedom or healing. The resurection of jesus, fact or fiction? Preceded by Faye's baptism. Techinocal issues resulted in the start of the baptism service not being recorded. Stephen describes how encountering Jesus has transformed his life. From playing in goal to becoming a striker. "I can do all things through Christ who strengthens me". Truely believe that you are loved, powerful and an achiever. Think, do you believe God's word , or your own inferior thoughts? 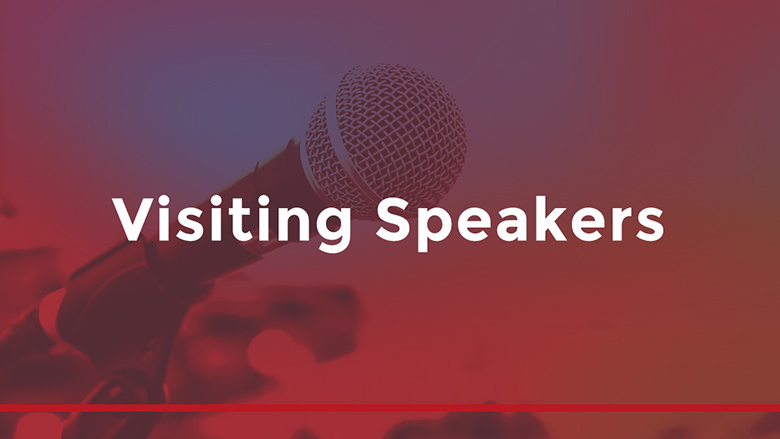 Click on the 'notes' icon to download a copy of Adam's speaker notes. Using the 'Lens of Jesus', we see that God did not want Abraham to sacrifice Isaac. God wanted Abraham's heart! He wants your heart too. Are you prepared to die to self? The disciples of Christ study the bible. Seek Him through his word. Pray that you will love the bible. Ian's speaker notes are attached. Click on the notes Icon to download. Disciples are called to forgive. 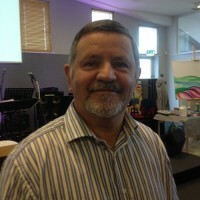 Simon Elliott is the senior elder of Jubilee Church in East Grinstead. Intentional Christianity: How intensional will you be this year in your walk with God? How do we encourage and develop leaders? Giving your heart requires putting God first. God says, "You will never out give me". Adam continues to share his vision and mission for the church, part 1 was last week. Senior Elder Adam sets out his vision for Hope Church for 2018. Part-2 to follow next week. Put God first and He will establish great things through you. David Hamilton, once an Ulster Volunteer Force terrorist is now an itinerant evangelist. Here he shares some of his story and how he came to be baptised. Preceding David's talk, is the baptism of Christine. Jesus modeled the perfect life. What keeps you from entering into his rest? Receiving gifts of the Holy Spirit. The disciples received the Holy Spirit and were transformed. Do you want to have your lifechanged too? In the biblical sense, "rememberence" is more that a mental excercise. It involves a realisation of what is remembered (F.F. Bruce). Do you work at remembering Jesus in your day-to-day activities? Chosen by God, His Spirit is sent to live in us. God wants to reproduce the life of Jesus in us. If you are a disciple of Jesus, then you are commanded to love one another. How do you feel about God's love? Is it nice to know, or essential to know? Testimonies from some of our church members who are sharing God's answer to their prayers. Sanctification is becoming more like Jesus. Discipleship: Jesus said "Follow Me"
Discipleship: Are you a disciple of Jesus? Beneficiary or disciple? Have you made a decision to follow Jesus? Dying Well (Living Well) ? A mid year review or our vision and mission for 2017 and where we are at. Having a heart for the poor. Try to live a life not weighed down by possessions, but by living for eternity. Click on the notes icon to down load a copy of the speaker notes. Hope for this life through the resurrection & hope for the future. Standing on truth and living in the grace of God in your life. Identifying key points on why we particiapte in holy communion with reference to the passover (Exodus 12). Head coverings, hairstyles or headship? Taking a look at the issue of of spiritual headship. The keys to overcoming temptation and habitual sin. Having the correct mindset for blessing others and bringing them to Christ. Understanding the principles that help us with moral dilemmas. Not forgetting God's provision and care for us. Doing church bigger and better in 2017.